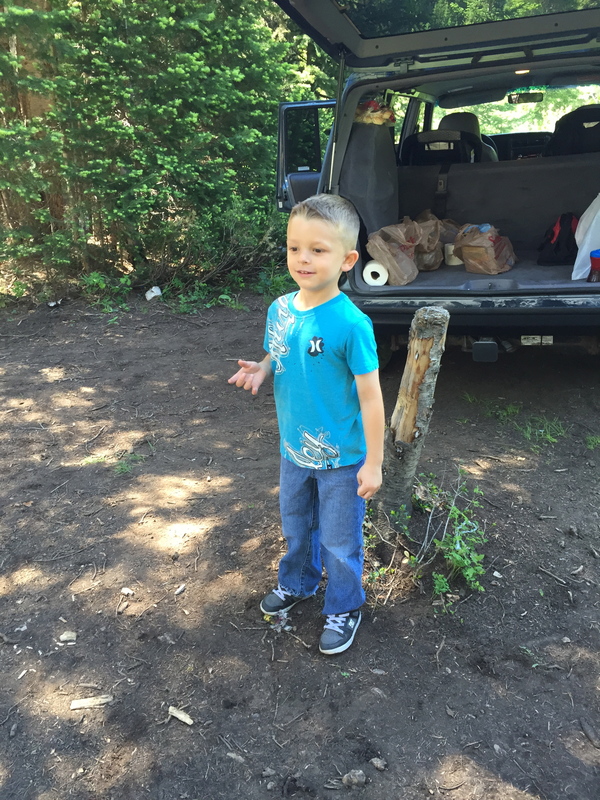 I figured that now Talon was five and his blog was just getting way to large, I needed to start another one for him. So keeping with the tradition I started it with his Halloween picture. 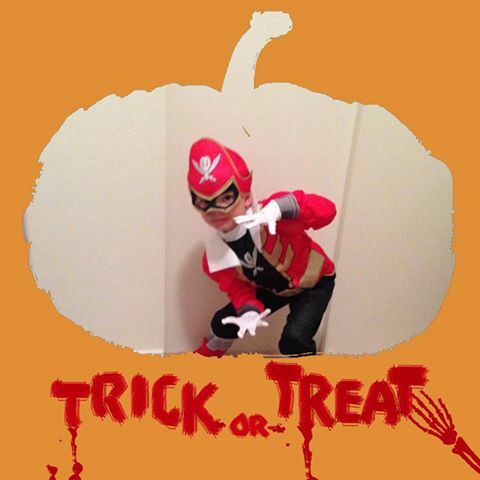 As you may or may not know he is the “Red” Power Ranger… Boy is he excited to go to pre-school today because they are having a fun Halloween party. Talon on Christmas morning. 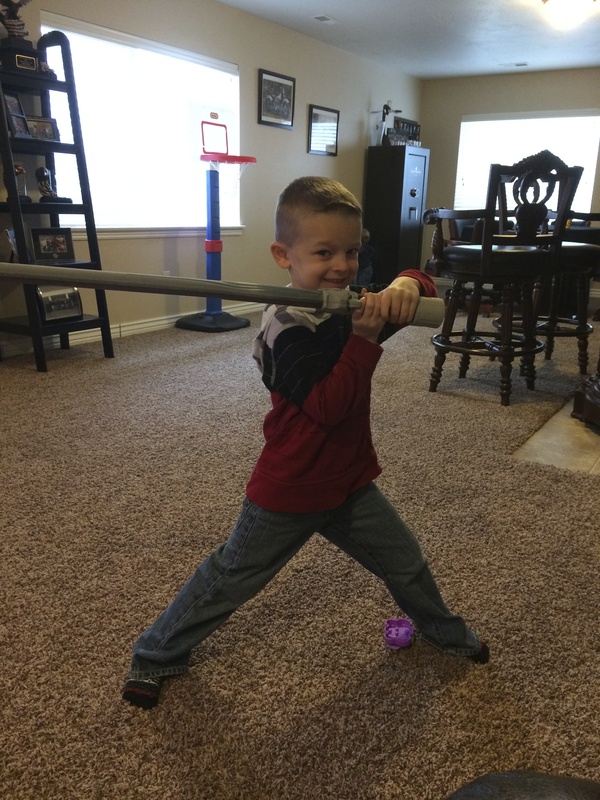 Tonianne and Jon spoiled Talon this year with all of his presents and he still wanted to play with these swords. I think he had another great Christmas and Tonianne and Jon made sure he received everything he asked for. The annual Christensen Christmas party photo. I think Jon is smiling a little in this one. 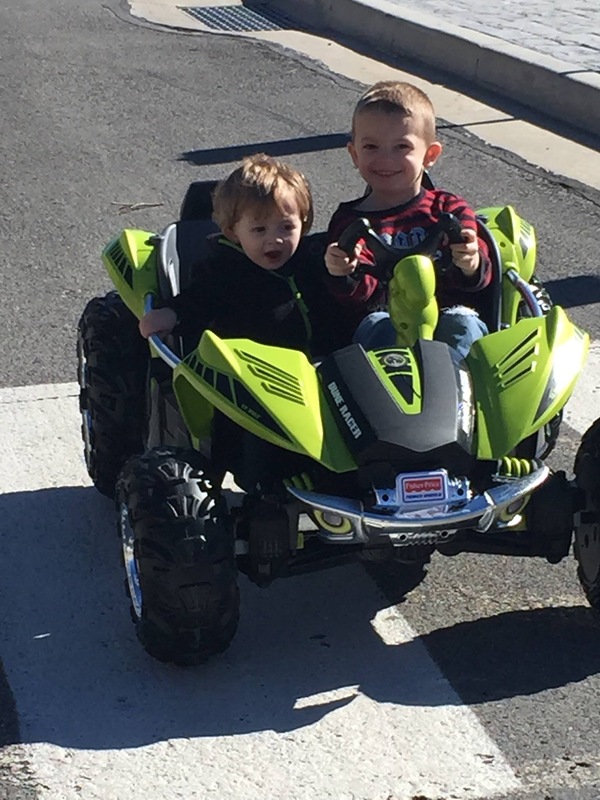 Talon taking Mason on ride around their neighborhood in his new dune buggy. 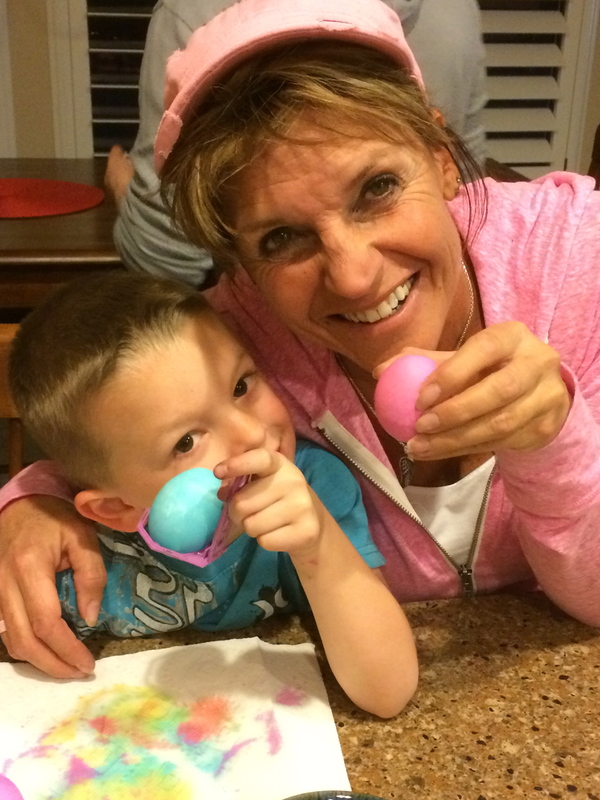 Grandma and Talon coloring Easter eggs at the house. Here’s the family. The kids had a blast. It’s funny how a $1.00 egg coloring package can give us so much fun. Talon was the “boss” and he was in his element. I don’t think I have seen him have that much fun in a long time. Looks like he did OK on the Easter egg hunt as well. 2015 Soccer has started. Tonianne moved Talon up a grade so it would be a little more competitive for him. As you can see he is now the smallest kid on the team but it didn’t stop him from scoring 50% of their goals on Saturday!! Handsome photo of my boy!!! A great photo of both of then. As you can see Talon is packing his gun with him just in case we meet up with any bad guys. The first of many graduations for Talon. He has succesfully graduated Pre-school. Look how happy he is.. I can just imagine how happy he will look when we graduates from High School and College!! 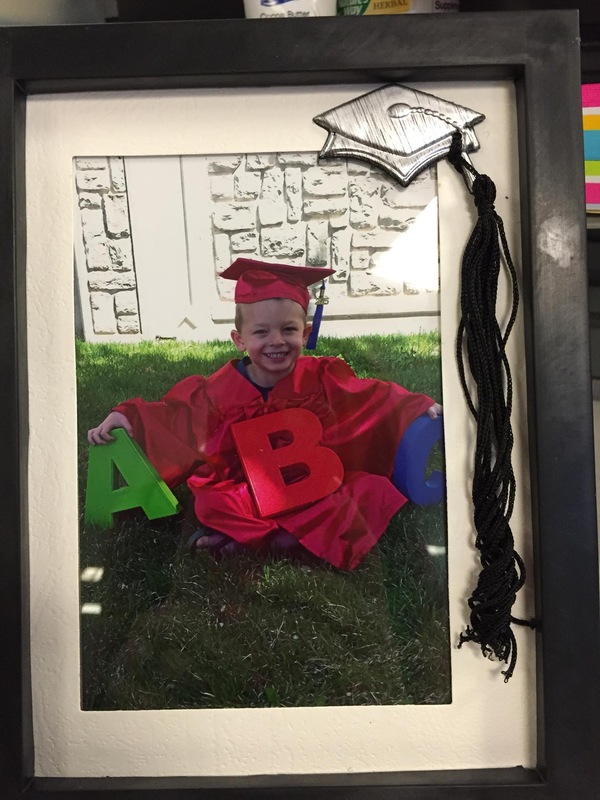 Congratulations Talon and good luck with Kindergarten. 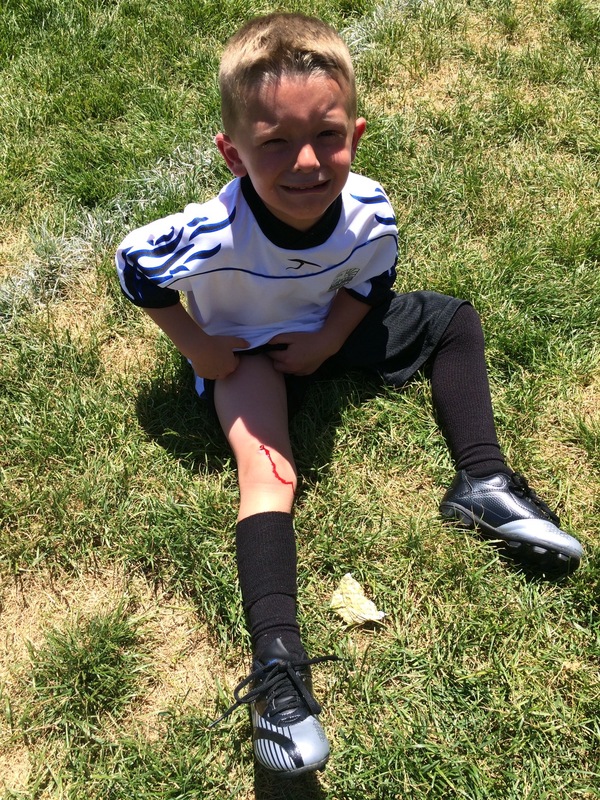 Talon’s first soccer injury. He got the wrong end of the cleats. because it was on his knee it took forever to heal. Good thing is he’s tough and got back into the game and scored their only goal. 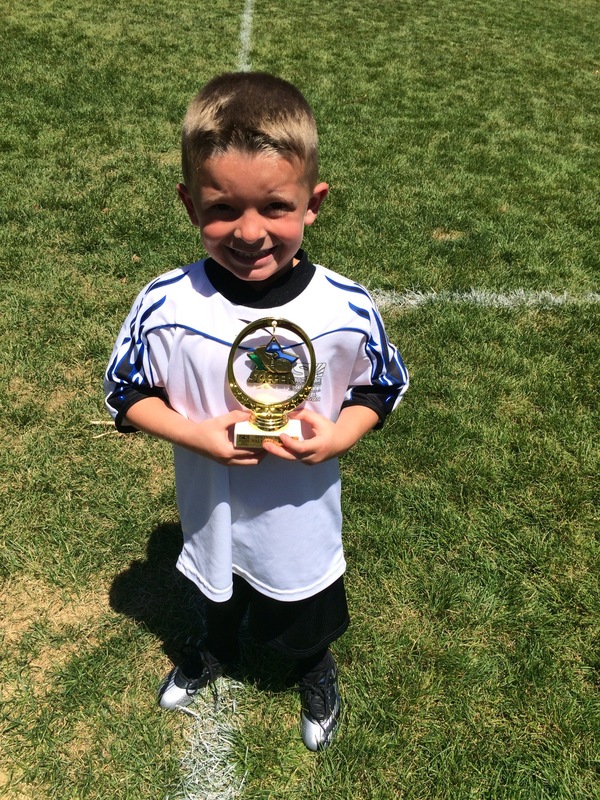 Talon’s soccer is over for the year and the parents of the team voted him the MVP. He scored at least one goal in very game. Talon’s first camping trip. The kids loved it so I’m sure they will go again soon. I also gave him Tonianne’s old BB gun. This should be interesting…. Mom and Son Bowling day. He is getting so Handsome… Must come from his Papa. 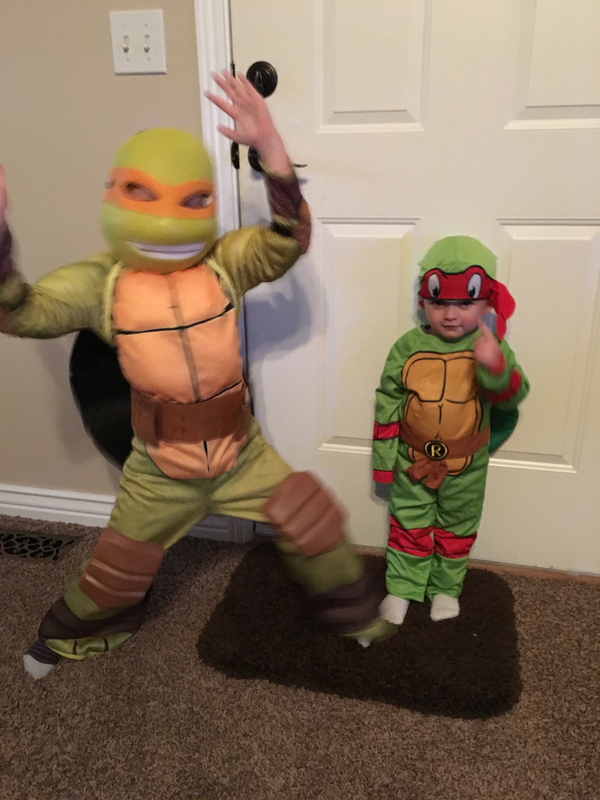 It’s Halloween again and as you can tell Talon is a Ninja Turtle. 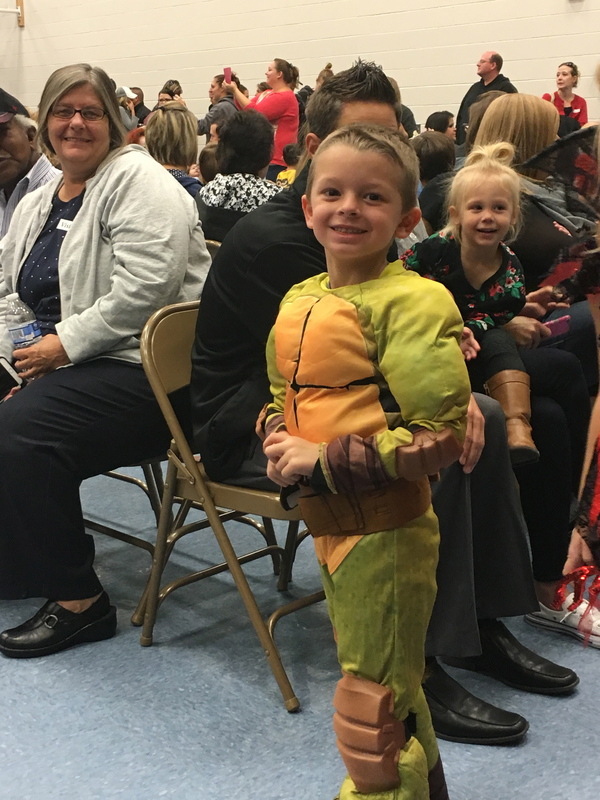 This is at his School when all the kids get to parade around and show off their costumes. Imagine that Talon posing with his costume… He is so funny and he love to get into character. Mason not so much. Talon’s Kindergarten picture. What a good looking boy we have. It just got serious… Talon received his mid- term report card from Kindergarten… You might have to click on the picture to see it better. My boy earned all “E”‘s that’s two quarters in a row he’s knocked it out of the park on his grades. the best part is his teacher think’s he’s pretty awesome as well…. I guess that’s not a big surprise to me, but it is pretty cool. Talon and Jon playing soccer in Mesquite. As you can see Talon’s shot was a little left. But he did great. Talon’s Easter egg. He ran the Easter egg coloring tonight because he’s the BOSS. 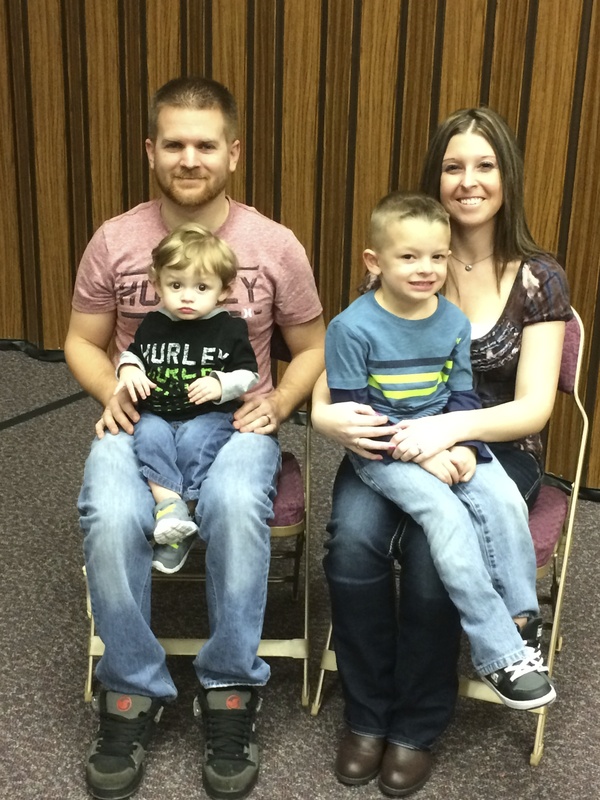 Talon’s Kindergaden class picture. You might have to click on the picture to see him, he’s on the back row. Well it was bound to happen, I just didn’t think it would happen when Talon was only six years old. Talon is the MVP of his team, and seems to be each year because he is so focused. Normally the games end with, Talon’s team 6 other team zero. and Talon scored five or all six of the goals. Will this happened on his last game and only ten minutes into the game. Talon broke his fibula driving to the goal. I think he was pushing off of his left leg and must have stepped in a hole or something because he went down hard and you could tell by the way he fell something was not right. Then he tried to get back up to get the ball again and he dropped right back down. Fun thing is he didn’t cry. He knew something was wrong because he could stand on his leg. Tonianne ran so fast a crossed the field you would have thought she was a track star. Through the whole ordeal Talon never did cry, he just wanted to go home and play. His coach and some of the team came over that night to give him his trophy. They won every game this year with the exception of the last game when he broke his leg. they lost three to zero. Good news is the coach said he was going to coach again next year and Talon was going to be on his team. Talon’s first cast!!! Something tells me this will not be his last. Sorry Mom, but I think this kid with cost you some money at the Emergency room over the years. Talon’s soccer picture for the year. He’s six. Good thing they took all the pictures before his last game when he broke his leg. Talon’s first day of School I cannot believe he’s in First Grade. He just looks so big and so COOL, standing there. He was not going to let Tonianne take him to School, he wanted to ride the bus. 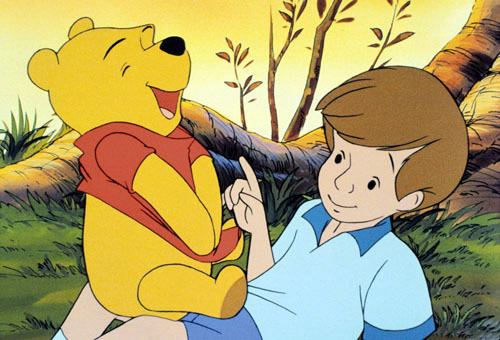 Because that’s what big kids do. The best part is, he does not need a blanket anymore, because First Graders don’t have blankets!!! Lagoon with the family. The kids out lasted all of us. All of us adults were ready to go home after nine hours and kids were still at 100%. We took Talon to Lagoon this weekend and he had a blast. He has grown up so much, we started him out on the kiddie rides with Mason and worked up from there. He rode everything his height would allow him to go on. By the end of the day we was even raising his hands on the Rollercoasters. Here we are on the Log ride. I will never go on this ride again. we waited in line for an hour for a three minute ride. But we got a great picture out of it. Mason rode with Tonianne and Jon. 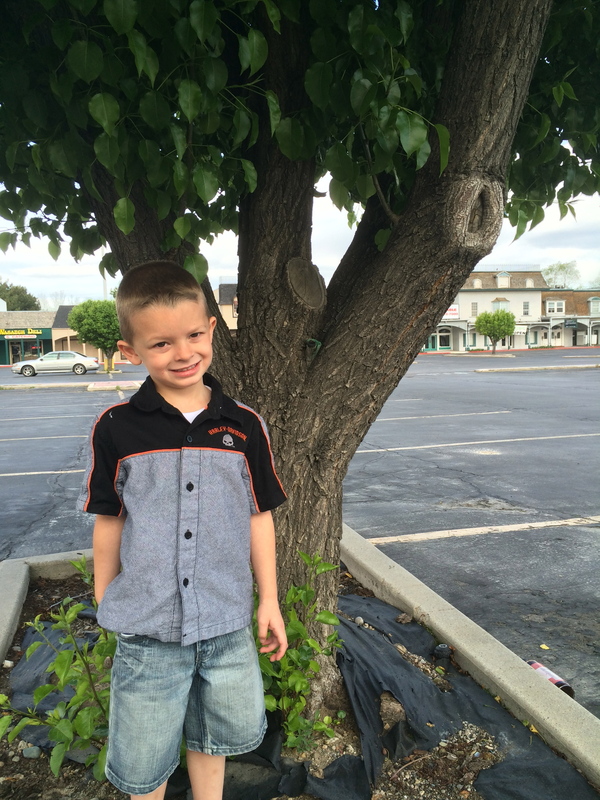 We took Talon to a Japanese restaurant for his seventh birthday in Mesquite. He wanted to try and eat his food with chopsticks. Like everything Talon does, he mastered it pretty fast. Now he doesn’t want to use a fork anymore. This kid cracks me up. It was so funny the Chef was throwing shrimp in the air to catch in your mouth. Talon caught it the first time. Linda and I took the boys up to the Mesquite Airport because Mason loves to look at airplanes. We found Brad Jesse who I use to skydive with a long time ago. He bought all of the old planes from SkyDive Salt Lake and opened a drop zone in Mesquite. This is the first plane Linda and I ever skydived out of. Talon is sitting in the cockpit of the plane where I use to sit when I flew the skydivers. I spend a lot of time in that very seat. Look at that plane, I cannot believe it is still flying. It was in bad shape when I was flying. Now you understand why people jump… Who wants to land in this piece of crap. Here I am, teaching the kids how to cook their own dinner over the open fire in Mesquite. Hot Dogs always taste better cooked outside. Talon’s First Grade School picture. Talon is maturing so fast, normally he is striking a pose when his Halloween picture is taken. Now he’s just comfortable hanging with his little brother. Make no mistake this kid has tons of energy to spare. I think, this is my new favorite picture of him. You might have to click on it to see it better. But here is a note from Talon’s First grade Teacher on his progress. I am so proud of Talon!! He got leader of the month at school. ” You always look for ways to be helpful around the classroom and you take care of things for others without being asked.” We’re so lucky to have such an amazing and helpful grandson!! Talon lost his first tooth today 03/23/17. As you can see he looks pretty upset about it. Great Easter weekend with the kids. Talon rode his first horse and absolutely loved the Rodeo. The kids did so well because we were at the Fair and Rodoe for eleven hours. Talon loved every minute of it. He looks pretty good in his cowboy hat and painted face. We colored our Easter eggs in Mesquite again this year. 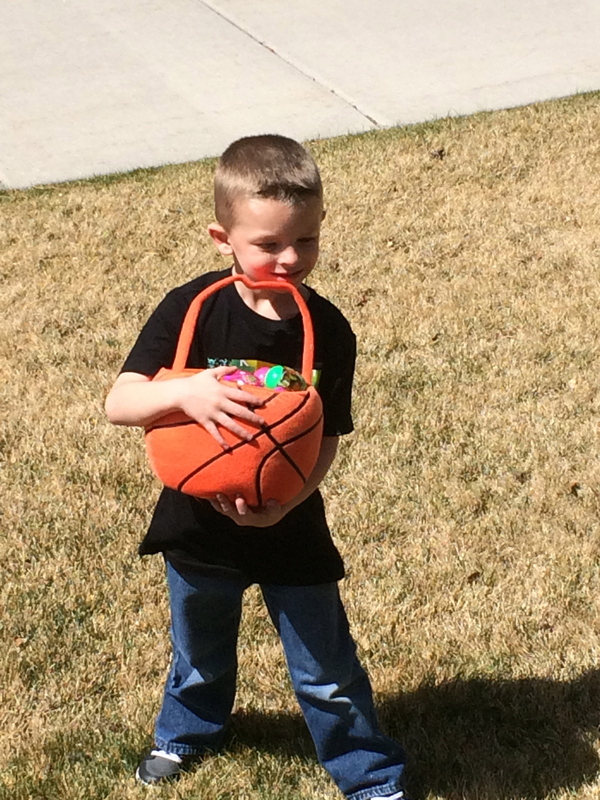 I think Talon had a fantastic Easter. 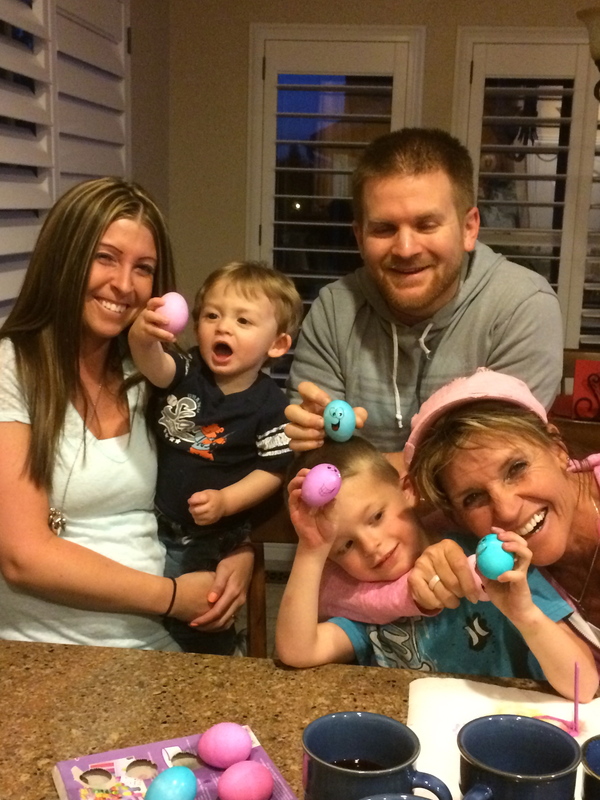 Three Easter egg hunts and the Easter Bunny brought them tons of toys and clothes. You might have to click on the picture. Tolan wrote the Easter Bunny a thank you note. Not to bad for a first grader. This kid is so thoughtful and has such a huge heart. A great picture of Talon and Mason at Jon’s sister’s wedding. they are some handsome boys. It was Grandparents Day at Talon’s school today. He was lucky enough to have both sets of grandparents represented. Talon was so excited and we had a great time being there with him. While we were at Grandparents day we had the opportunity to see his classroom. As you can see Talon was the Super Kid of the month. You may have to click on the picture to see all of the details. 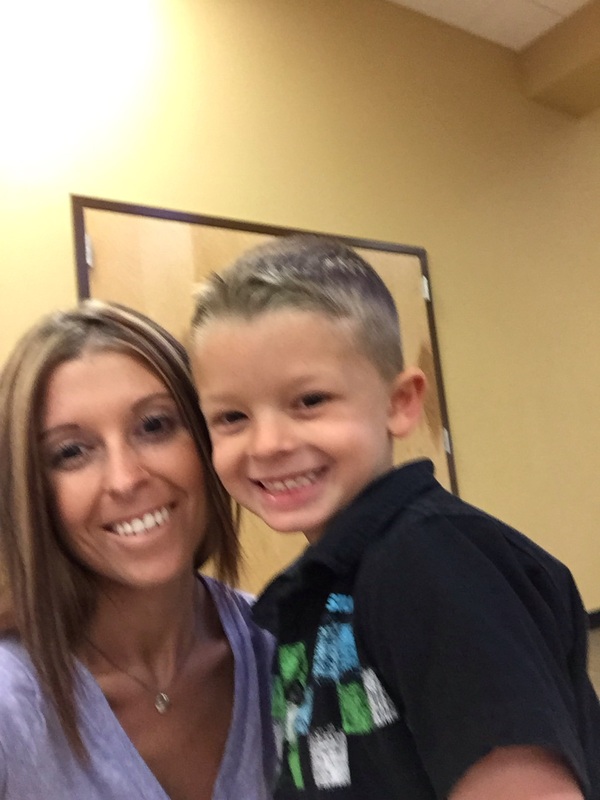 He has a fantastic First Grade Teacher who really loves this class and she is not looking forward to them leaving. Talon scoring his last goal of the year as a First grader. His coach wants him to play Fall soccer but Talon told him he wanted to play basketball. I can’t see why he couldn’t do both. He was the MPV again this year voted by his teammates. I hope he continues to play soccer because he is such a natural at it. But I have seem him play basketball and he is really good. I think he will do well at all sports. Talon’s Soccer pictures for 2017. He is so excited to be a second grader next year because he will not be the youngest player anymore. Forth of July at the Bees game. Talon is really into the game. And he’s clairvoyant. 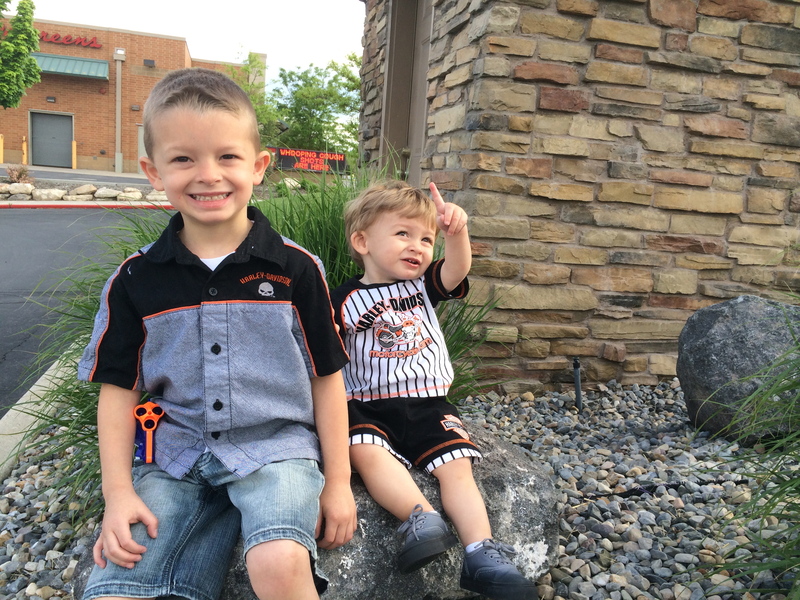 Talon said, ” I like number six… He’s going to hit a home run. And he did on the first pitch. Wow Talon is now eight years old. We spend his birthday in Mesquite again this year. He said this is his favorite place. Even better than DisneyLand if you can believe it. Yep Talon is a huge Ute fan. He wanted a new basketball. His first basket with his new ball. He can play any sport he wants. The kid is a natural. Me with my Grandkids. This is my favorite time with the boys. He also wanted to cook Hotdogs again outside over the fire, so we did, because it was his day. Talon was an Army Man for Halloween this year. Every time I see Talon he seems to get taller and more mature. Great picture of Talon and Santa at our family Christmas party. Great family photo at our Christmas party. Love these holidays we can all get together. This my favorite picture! Papa and Grandma’s family picture on Christmas. Talon is growing like a weed. He is not only just growing quickly he his talking and communicating more like a teenager then a child. He is so impressive with focus on sports and School work. Talon is playing soccer again, he started this year just like he ended last year. The score was two to zero. Talon Two and everyone else Zero. Great action photo of Talon kicking a goal!! The best part is the goalie on the ground after missing to block his shot. I think this is the last and only soccer game we will be able to see this year. Last week we were rained out and we are traveling the next four weeks. The good news is Talon has quite a fan base coming out and supporting him. He did score four of their five goals again. Talon’s Second Grade report card!!! I think Mom, Dad and Papa and Grandma are pretty proud of this child. He has the same passion for School as he does for sports. 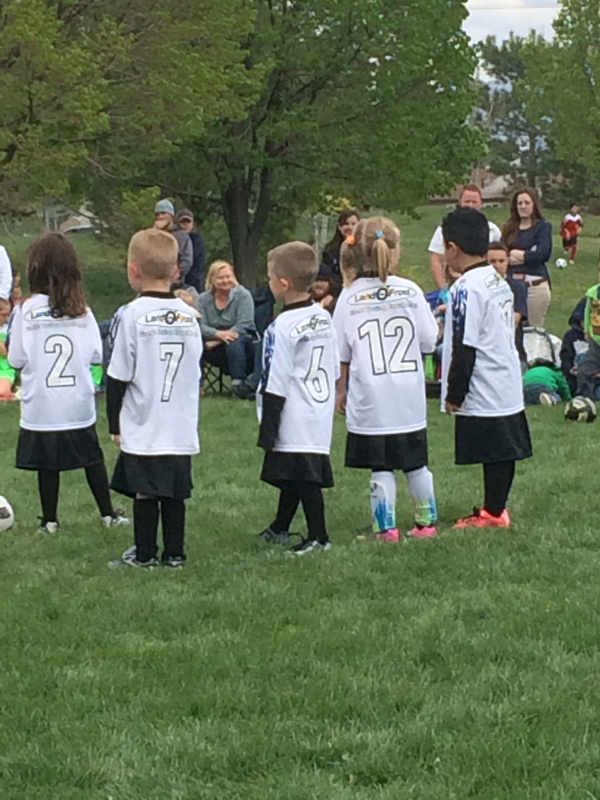 Talon ended this soccer season with eight goals in his last game. Like most of the games the score was 8 to 2. And Talon even scored one of the opposing teams goals for them. So technology he scored nine goals. This kid is so good at what ever he decides to do. Tonianne and Jon brought the kids down to Mesquite to spend some time with us. Jon brought his new truck so we could drive over the mountain to see the Grand Canyon. It is spectacular from this side. They have a ranch about fifteen miles away from the Grand Canyon called the Bar 10. As you can see Talon is practicing his Rodeo skills for the next time he needs to catch and brand a cow. Tonianne and Jon stayed a few days and then left the kids with us for a week so we could spend some time with them. It was so much fun and they are such great kids. Each day the boys took turns on who was Boss for the day. 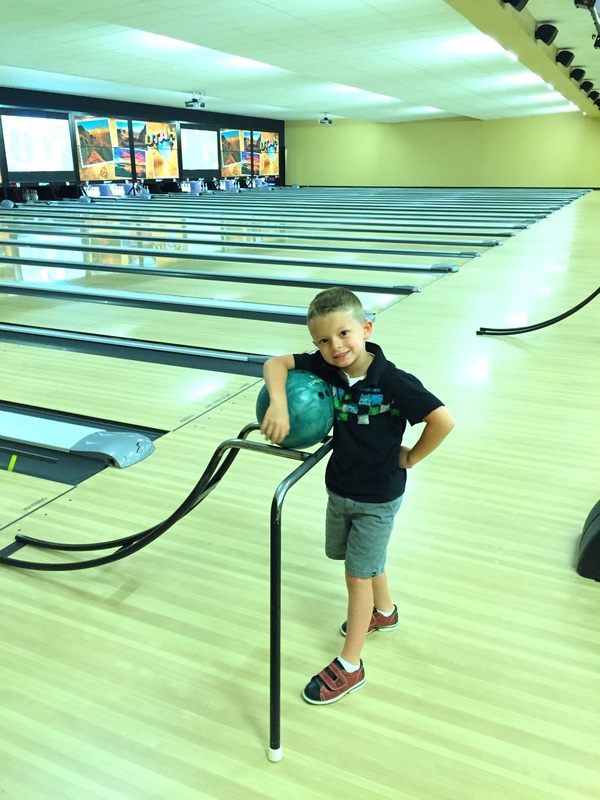 We went to all the water parks and yes even did a little bowling. Talon has pretty good form and one game he scored over 100. We did use the bumpers. You should see Talon Read the directions and put together LEGO’s together. One of the LEGO sets had over 700 pieces and had an age limit for fourteen year olds. This kid is amazing. I had to post our picture of us at Samari 21. This is Talon’s favorite place to eat. He calls it the Fire place because the Chef lights the table on fire before he starts cooking. Talon’s first day at School. I cannot believe he is in third grade already. He will do well. The kid is so focused on what ever he does and loves School. Another amazing vacation with the Tonianne, Jon and the boys. We went to LEGOLAND for Mason’s fifth Birthday. Talon and Mason got to play at the Ocean in Mission Bay California. They had so much fun. Here they are finding Seashells. We stayed at The LEGOLAND Hotel. The kids loved it. They had so many activities for the kids all day and night. Two days at LEGOLAND riding all of the rides. Talon could ride every ride. He really liked driving the cars but loved everything else. Although one of the roller coasters scared him a bit. He seemed to love all of the other rides. Here is Talon and Mason getting ready for “Brick or Treat” that is where LEGOLAND closes the park at 4:00 and lets the Hotel guest dress up, ride the rides a go trick or treating at the park. Tonianne bought this necklace for Linda. You might have to click on the picture to read it. As you can imagine Linda loves it. I could not decide which picture to post so I just posted them both. He is such a handsome boy.